Carpeting can make a home feel significantly more cozy and inviting, but it also seems to attract accidents and spills. Whether or not you have children or pets, no matter how careful you are, there are bound to be spills and mishaps on your carpet. Before you begin calculating the cost of replacing your carpet, take some time to read our tips for removing a variety of carpet stains. With the right treatment and prompt attention, you can keep your carpet looking clean and fresh. If you’re dealing with stains that just won’t respond to any of our suggestions, then Big Guys Carpet Care is here and ready to help with all of your carpet cleaning needs in Dallas and Fort Worth. Call today to schedule an estimate and let us help you get your carpets back to their original appearance. If you have pets, then you know that sometimes they have accidents. Whether they had to hold it too long, or they are simply getting older, there will be times when you will need to deal with a mess on the carpet. You want to take care of it as soon as possible so that you can eliminate any stains and lingering odors from your carpet. If there are solids on the carpet, then use a fork or a spoon to help lift it off of the carpet fibers. Alternatively, you can put on gloves to pick it up and dispose of the mess. Once you’ve cleaned up that part of the mess, use the blot method to soak up any additional moisture on the carpet. 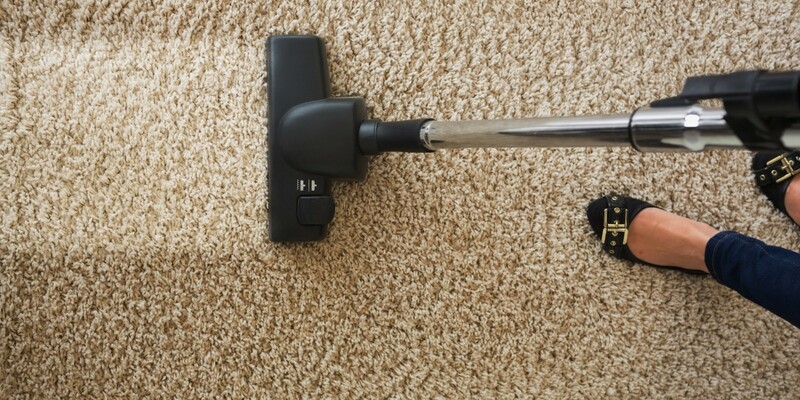 Avoid smearing or rubbing as this can cause the stain to get deeper into the carpet fibers. You can create a mixture of ¼ cup of white vinegar and a quart of warm water to help remove any stains that remain after you have blotted everything you can. For extra cleaning power, try mixing a quart of water with a stain-fighting laundry detergent in a spray bottle and using it on the discolored area. While we hope this is not an issue that you will have to deal with very often, we do have the tips you need. As with any other stain, the faster that you can begin treating it, the better the results will be. One of the most important things to remember is to use cold water instead of warm water. Unlike other staining materials, blood begins to coagulate with warm water, which means that you always want to use cold water to prevent it from permeating the carpet fibers. The second step in treating this type of stain is to mix two teaspoons of a grease-fighting dish soap with cold water in a spray bottle. Liberally spray the area so that the stain is completely soaked and then use a paper towel or soft cloth to blot until all of the blood is removed from the carpet. You can repeat these steps if needed. Big Guys Carpet Care wants to help you keep your carpet looking as clean and fresh as the day it was installed. 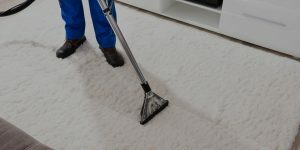 If you are in need of carpet cleaning in the Dallas and Fort Worth area, then give us a call and let us provide the carpet cleaning estimate you need. We look forward to providing the professional services you need!